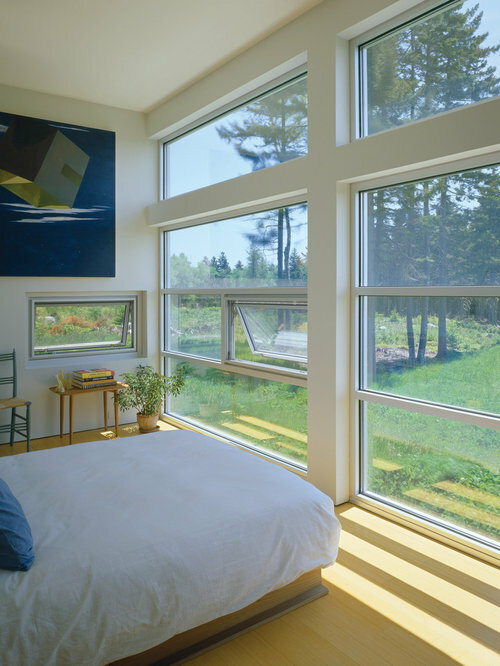 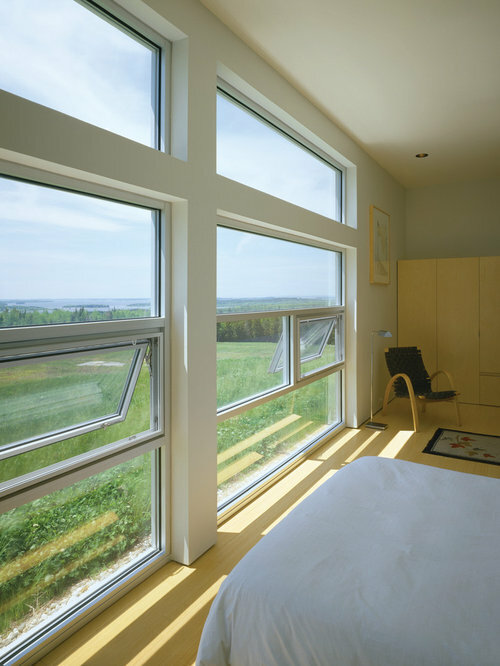 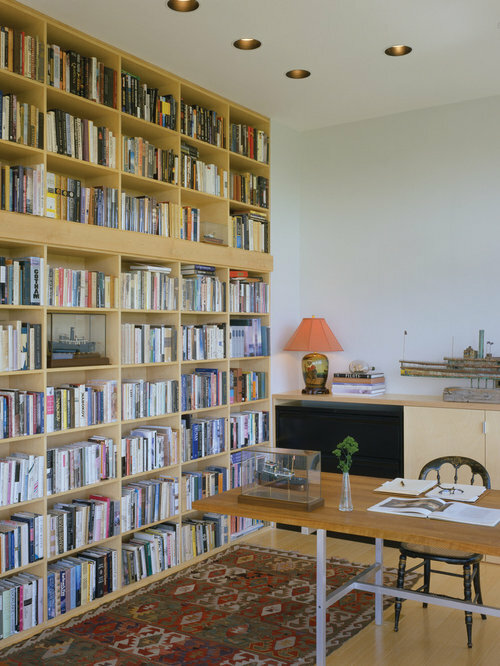 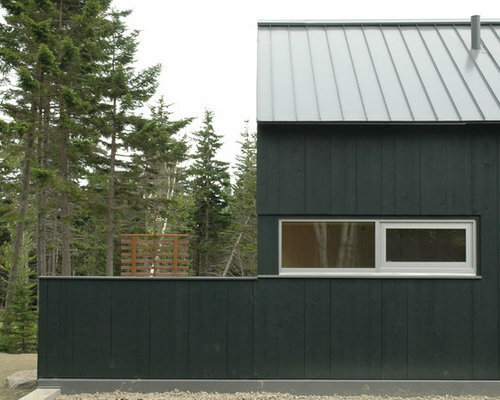 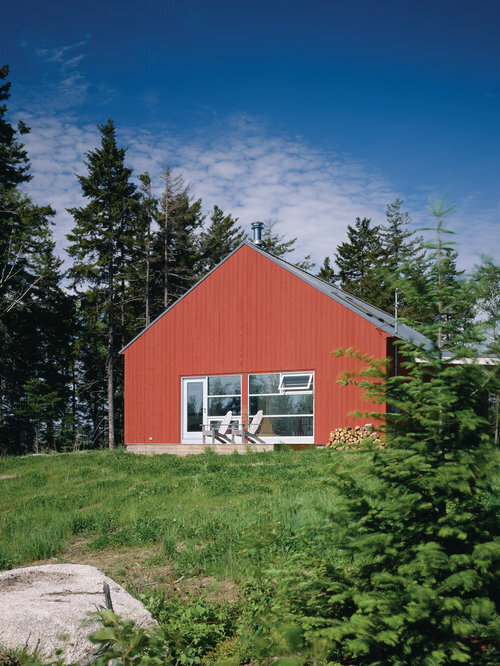 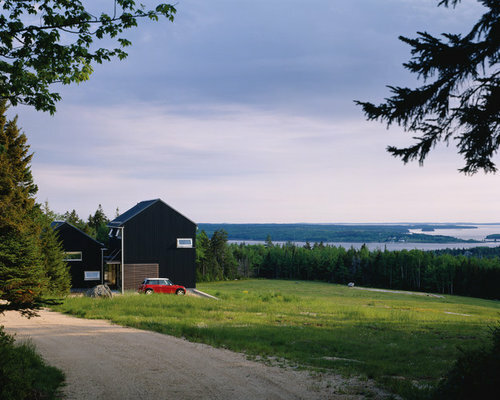 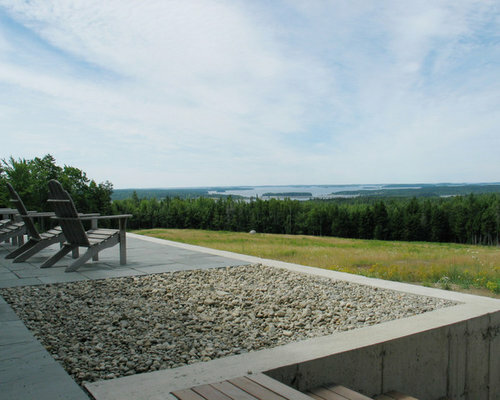 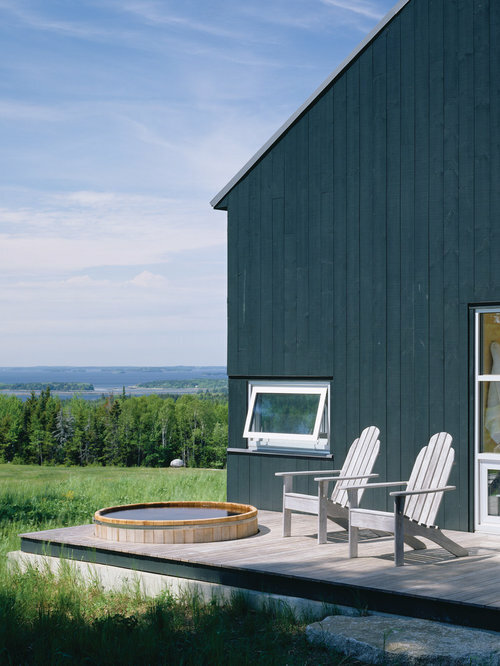 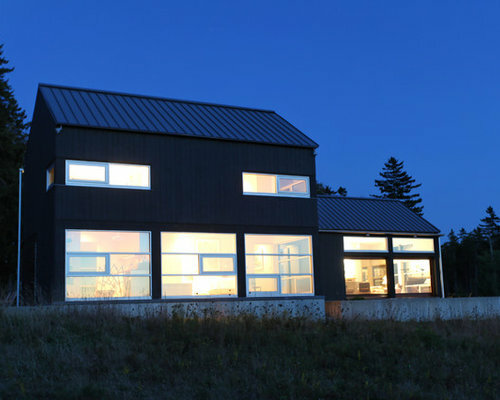 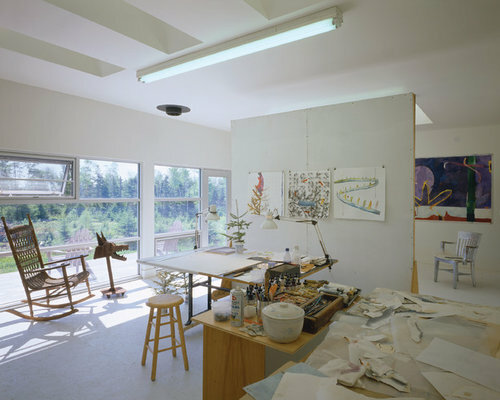 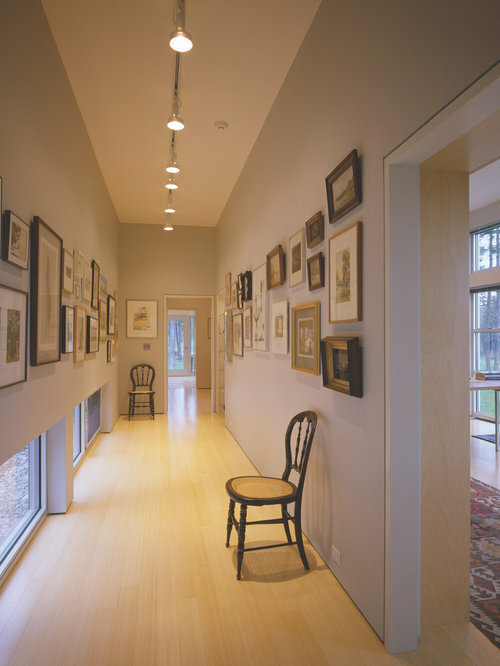 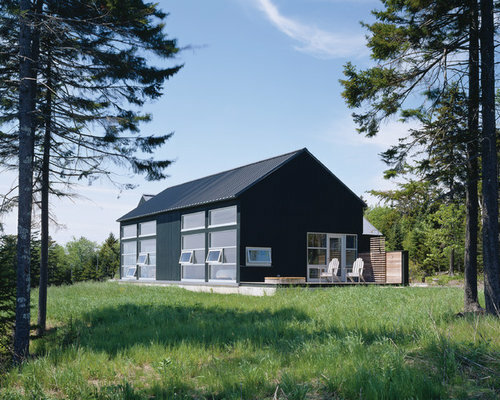 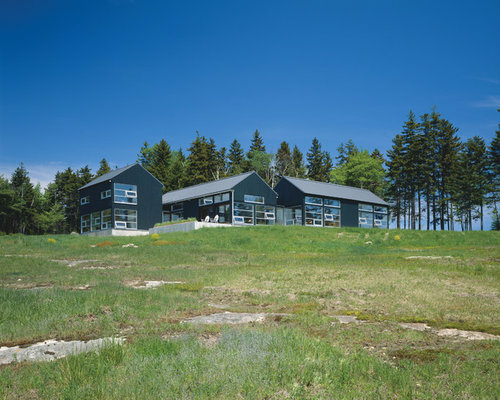 Simple volumes and walls contain the edge of the woods and present a long panoramic view across the field to the islands of the Maine coast. 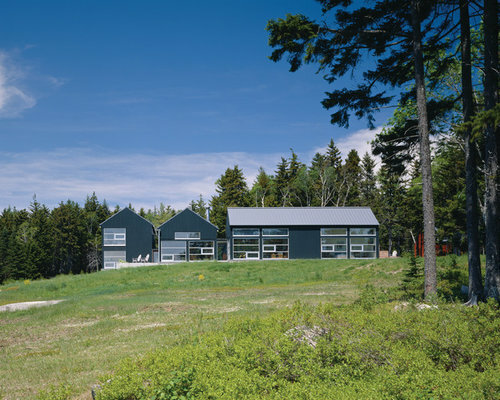 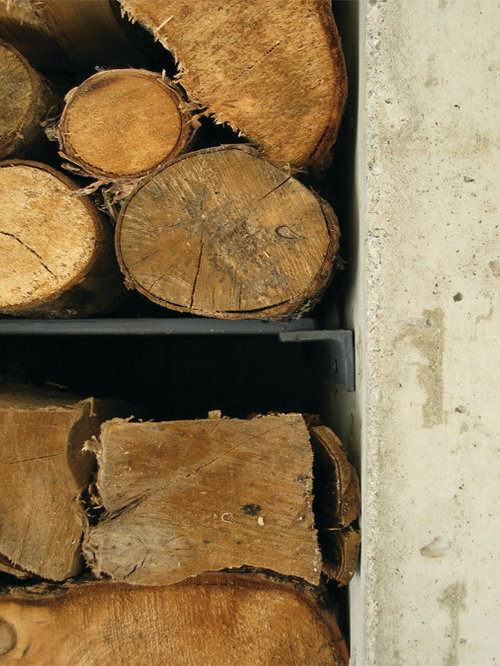 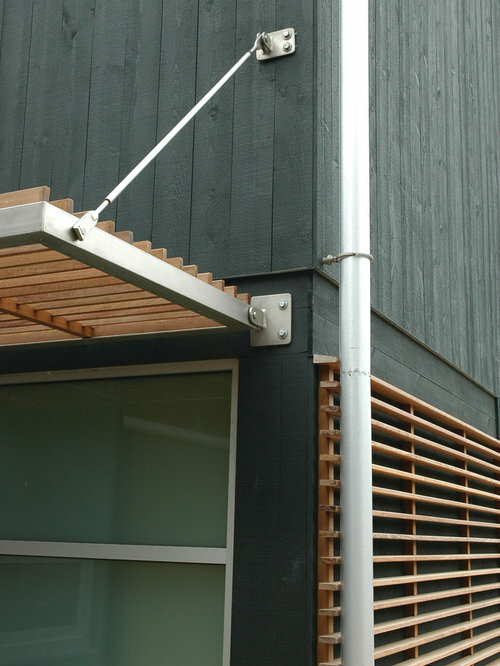 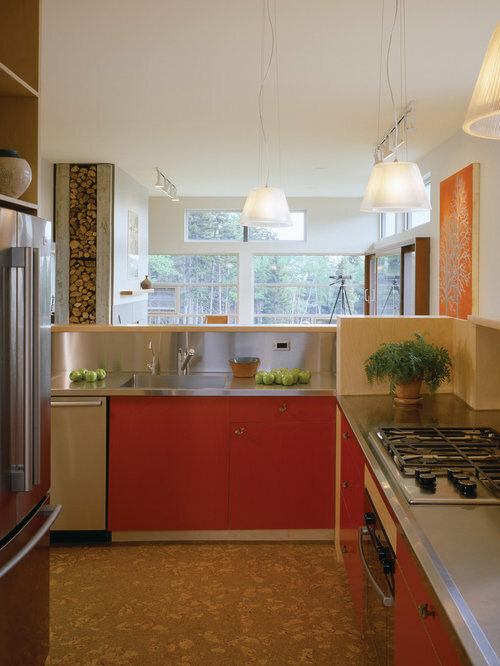 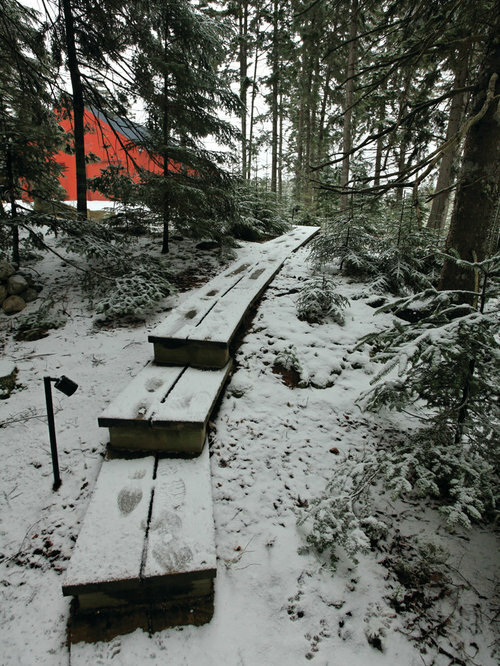 Volumetrically, the house draws from vernacular and agricultural building forms and materials. 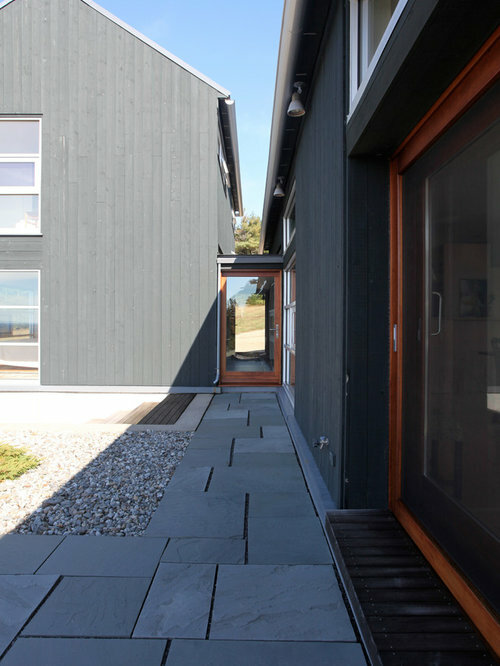 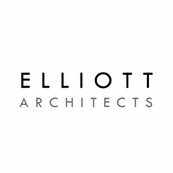 Because of the narrow lot and neighboring residences in close proximity, the programmatic elements were divided and arranged to focus views and create privacy.